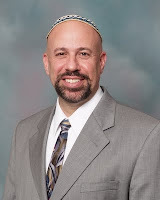 This is the second of three posts written by Rabbi Schwartz when he recently served as guest blogger over on the Jewish Book Council's website, in conjunction with the recent publication of his new book, the student edition of Judaism's Great Debates, with the adult edition due out next month. We're pleased to be able to share these posts with you here on the Adas Emuno congregational blog. The first Jewish debate never ceases to amaze me. I am of course referring to the great debate between Abraham and God as recorded in Chapter 18 of Genesis. While Abraham’s epic story is remarkable, there is nothing in the prior (or subsequent) biblical narrative to indicate that the patriarch will challenge so boldly the God who commands his life so thoroughly. This is the quintessential man of faith, after all, who unquestioningly sets forth to a new land and submits even to the command to sacrifice his beloved son with nary a word of objection. So when quite suddenly “Abraham came forward” (18:23) and dares God to morally justify the collective punishment of Sodom—well that is astonishing! “Will You sweep away the innocent with the guilty?” he pointedly asks in the same verse. “Shall not the Judge of all the earth deal justly?” he passionately exclaims two verses later. Abraham holds his ground as the debate goes back and forth concerning the minimum number of innocent people it would take to save the city. The abrupt and apparently truncated conclusion to the debate (see 18:33) shifts the enigma of Abraham to the enigma of God. Does the Judge of all the earth in fact act justly? Do some innocent perish with the wicked? Were the wicked beyond repentance and mercy? Were the ordinary citizens of Sodom equally evil?